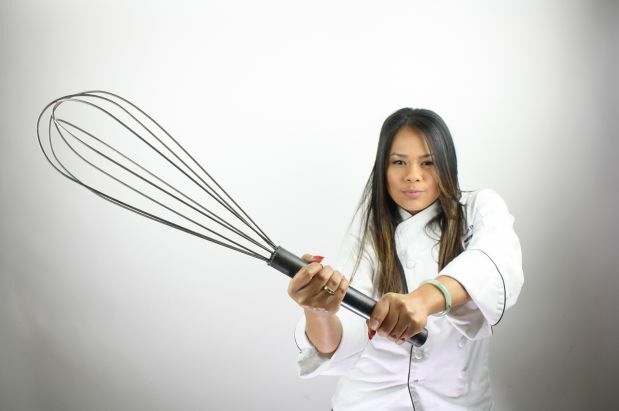 La Reve Bakery pastry chef on Food Network's "Chopped" tonight! Queen Anne's Jasmin Bell competes in first-ever dessert version of "Chopped"
La Reve Bakery head pastry chef Jasmin Bell stars in a first-ever sweet version of the Food Network's "Chopped" tonight. In the first round, Bell and her competitors make chocolate dishes that include Mississippi mud pie. The second round features them incorporating something bubbly and crisp into candy creations. And in the final round the competitors are given just one hour to mix, bake and decorate cakes that contain rice and avocados. Random! "That's why this episode is so great because it really puts our skills and expertise to the test," Bell told us via email this morning. "The cake round basket consisted of rice, almond flour, calamansi, and avocados - yes, all that in an edible cake! I can't tell you if I win, but I will say Seattle will be very proud of me." We can't wait to tune in tonight.